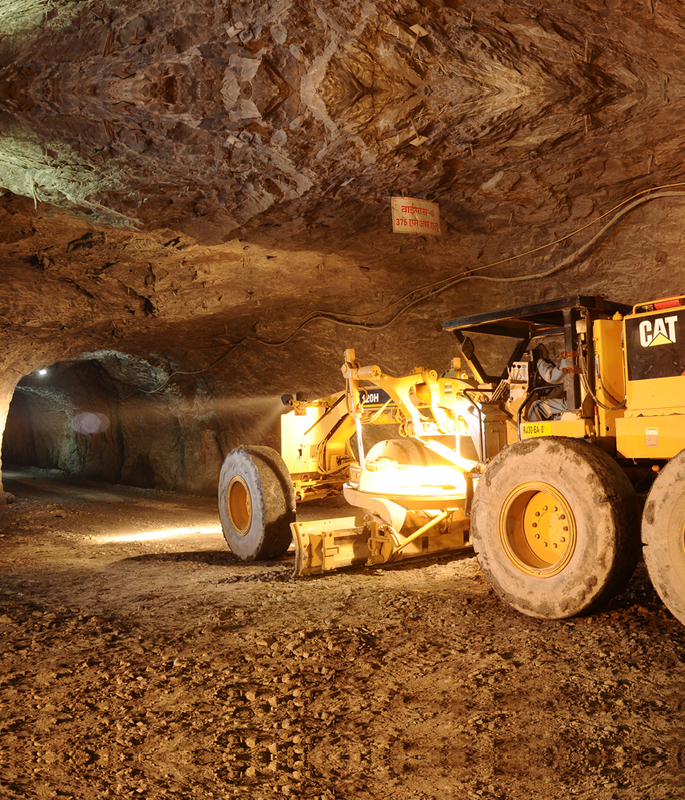 Sindesar Khurd Mine is India’s largest underground mine with production of 4.5 million MT in FY 2018. With average reserve grade of 7%, the mine differentiates itself with its silver-rich zinc-lead deposit and highly mechanised and low cost of operations. The mine production began in April 2006 and has undergone several phases of expansions from 0.3 million MT to its current capacity of 4.5 million MT. SKM lies on the same geological belt as the Rajpura Dariba Mine. Access to the mine is presently through declines (North and South) while ore hauling is planned to start through shaft in FY 2019. It has a reserve of 34.6 million MT and mineral resource base of 91.4 million MT as on March 31, 2018. As part of the on-going mine expansion plan, the main production shaft of 1,050m depth, 7.5m diameter and 3.75 million MT hauling capacity is under development. Post it is expected commissioning in FY 2019, the total hauling capacity of the mine will increase to 6.0 million MT per annum. Sindesar Khurd is an underground mine, commissioned in 2006. The mine was initially opened as a satellite of Rajpura Dariba Mine. It is located 82 kms north-east of Udaipur, in the State of Rajasthan in India. It is a high silver content mine and has a uniform ore body with good zinc and lead grade. Sindesar Khurd has access to the mine through an inclined ramp. Mining method is blast hole open stoping with filling. The ore is crushed at the surface and transported to the beneficiation plant for further crushing; milling; and flotation process. Zinc and lead concentrates produced are transferred to our smelters. The tailing generated due to beneficiation of ore are stored in specially constructed tailing dam which is considered as the most compatible on-site storage facility for long term disposal of tailings. The base of the tailing dam is fully sealed by the application of a layer of impervious soil at bottom. After settling the tailings water gets recycled to plant thus maintain zero discharge.